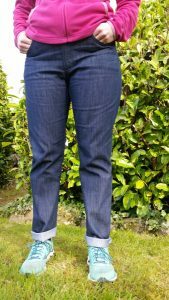 Well – here we are – my new favourite pair of jeans the Morgan Jeans from Closet Case Patterns – yet another winner from Heather Lou. I got a heads up about the new pattern a few weeks before it was launched so I got my hands on the pdf earlier than most to try it out. Of course I was very busy during that time – between our Open Day and then a trip to Legoland with the family, I didn’t get to try the pattern until the launch day. Well if you ever needed an incentive to get stuff done – there’s nothing like a deadline!! I started at about 10am and kept sewing til I had to pick the boys up at 4pm, then after dinner – I went straight back to them and had them finished and photographed before I went to my Yoga class at 8pm. It helps that I’ve made 3 pairs of jeans this year – previous pairs were Ginger Jeans – Skinny and Flares. 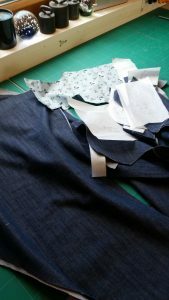 Practise does make perfect, I also took the easy option with topstitching and used navy thread so that it would blend in if it wasn’t perfect and I used a zip in the Morgan Jeans as I didn’t have enough Jeans buttons to do the button fly. I followed the Ginger Jeans Sewalong as jeans are jeans and tried them on as I basted and sewed them up. 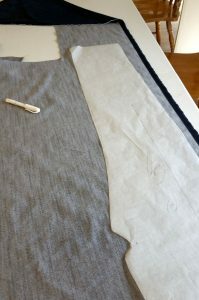 When I get to make another pair I will size them down slightly especially in the legs and use one of the 100% denims. I used this denim which is a mixture of cotton and polyester with a bit of lycra as I was a bit nervous of using 100% cotton denim in my first pair. Also another thing I do now when making jeans is to cut each piece separately instead of two fronts / backs with the fabric doubled. This ensures the pieces are all cut on the straight grain – if the grain is a bit dodgy it can result in the legs twisting. 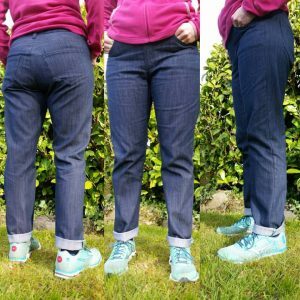 So if you are interested in venturing into jeans making – I urge you to give it a go, you can get your Morgan Jeans pattern here, and your denim here. 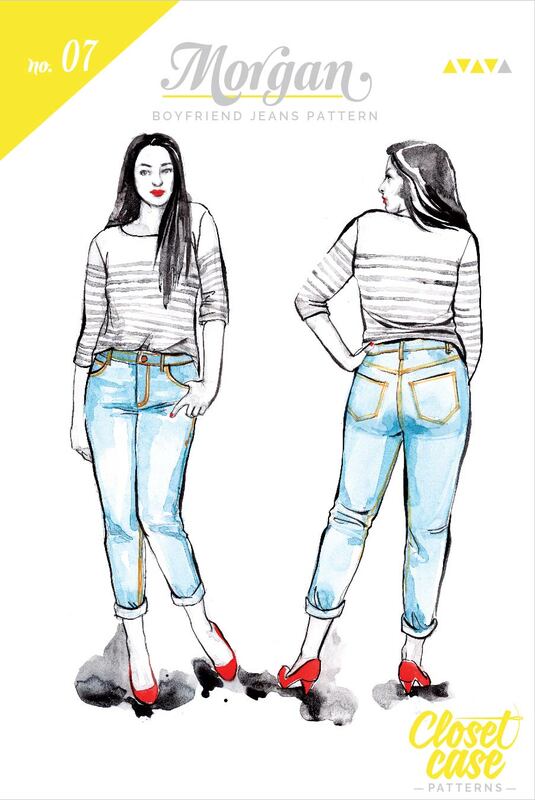 Closet Case Patterns have lots of tutorials and advice for sewing jeans and the Ginger Jeans sewalong is brilliant. So who is up for it?? ?